“The Good, like the One, is synonym with power and endless richness and is the origin of everything”. This is how Plotinus, neoplatonic Egyptian philosopher who lived in the III century AD, expressed the idea of the good in the One, or Divine. Don’t they say, in unity there is strength, good unites while evil divides? And unity itself is a number, and the root of all numbers. Every person is identified, in their cycle of life, by the numbers of their date of birth, which are plain to see, and by the invisible numbers of their name and surname. As a matter of fact, every letter of the alphabet has a numerical value. These numbers are not random, or meaningless: they are symbols that may be interpreted on a metaphysical level to reveal important personal information. The numbers of our date of birth tell many things about us. We are potential numbers, time containers that originate from a number. Since the day we are born, the number of our age accompanies us through our whole life. Discovering the gifts of our personal numbers means finding an enlightening life guide that will reveal to us our inclinations, what we were born for, and, most importantly, show us the way at the right moment. People can “have the Numbers”, as the saying goes, but, if they are not aware of them, they often risk wasting their potential. 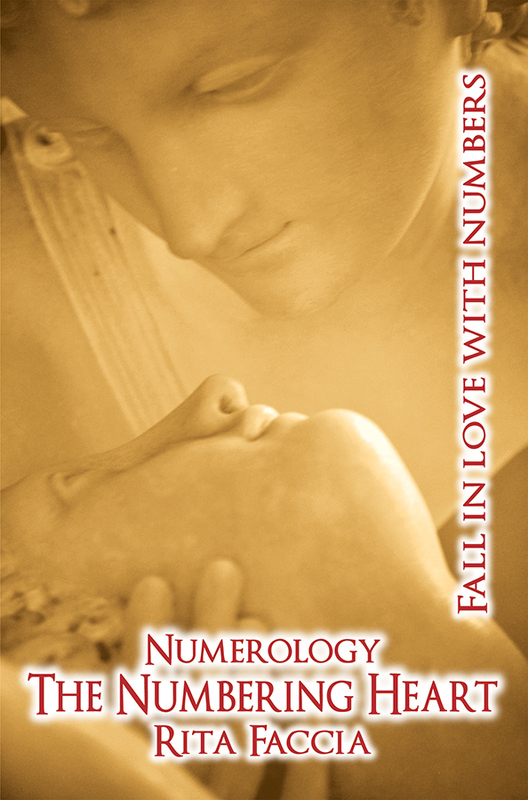 "NUMEROLOGY THE NUMBERING HEART: FALL IN LOVE WITH NUMBERS"